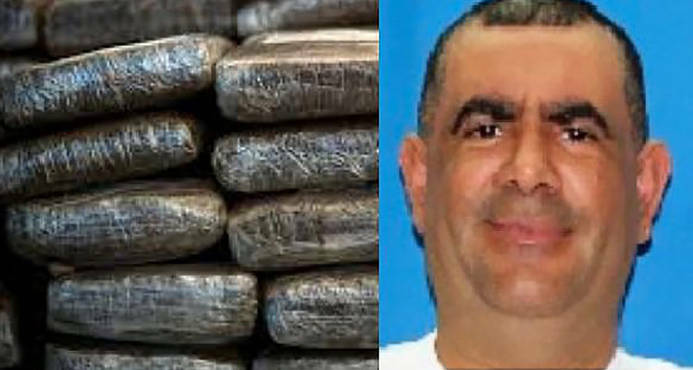 Santo Domingo.- Notorious drug kingpin Miguel Ángel Muñoz Pereyra (Pipe), was arrested Thurs., on charges of smuggling over 1,000 kilos of cocaine into the country in 2016. The Justice Ministry made the announcement yesterday, adding that the drug entered through the coast of Matanzas, southern Peravia province. It said Muñoz, who’s being held in the prison in Baní, was arrested north of the capital on the Duarte highway, in a joint operation with Antinarcotics (DNCD). Muñoz is also charged with forming part of a ring which steals luxury vehicles and then sell them to third parties.